A uma quadra do City Dock, Main st, Academia Naval !! Recentemente remodelado !!! A uma quadra da entrada da Academia Naval. Distrito histórico da baixa. Quintal cercado. Três andares casa histórica. Relaxe na varanda da frente e desfrutar do ambiente da cidade. Grande cozinha gourmet com capacidade para 10 refeições. Três grandes quartos com 2 camas queen size, uma rainha aerobed e 2 gêmeos. O pitoresco quintal cercado. Aconchegante lareira a gás na sala de estar. Recentemente decorado em 2012. Todos os móveis novos. Central de ar e calor. Completamente remodelado. We absolutely enjoyed every part of our stay. The house was beautiful. The location could not have been any better for restaurants and bars (no more than a 2 minute walk into town, it was around the corner!). Parking was easy enough, considering it was downtown Annapolis. We'd come back anytime we return to Annapolis. The location is absolutely perfect. 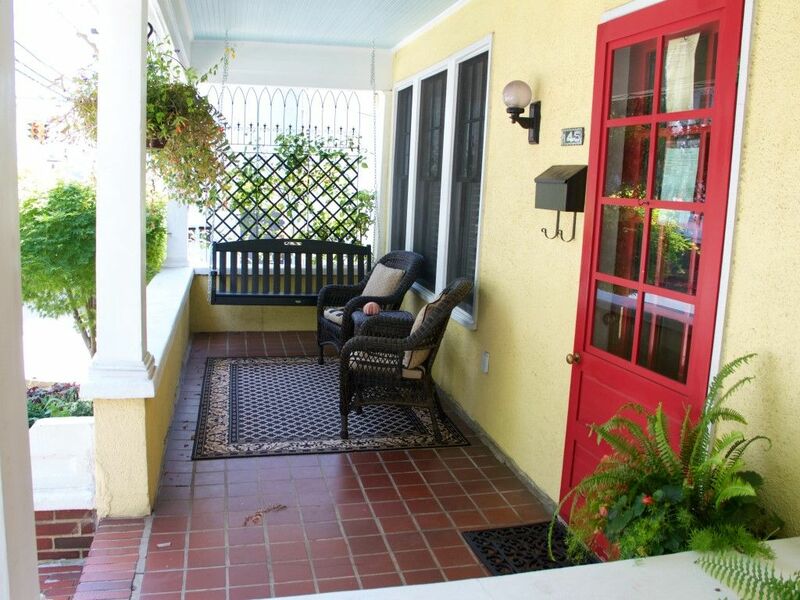 Steps from the Naval Academy, restaurants, shopping and the City Dock. Toni is very quick to communicate even during weekends! For advice - think through your parking plan. You can get one street parking pass. You can also park in the garage nearby (~$20/day). If you have an ID, you may be able to park at the academy. We stayed at Toni’s place for my sister’s bachelorette weekend. My family lives in Annapolis so I am very familiar with the area and the types of homes. We loved how this house had the charm of an older home, such as the original doorknobs and pretty wood floors, but also had a nice renovated kitchen. The only downside was the sleeping space. In terms of beds, there is only room for 8 adults. Unfortunately, one of those beds (sleeping 2 adults) was in the basement, which smelled so musty that we couldn’t use it. We were able to make do with air mattresses, but I did want to put it out there for larger groups. I wouldn’t recommend this house if you have more than 6 people. I trust that you were able to enjoy your festivities as Annapolis is such a great location for celebrations. As far as sleeping accommodations, there is a very comfortable queen sized aerobed available in the upstairs third floor bedroom. I'm sorry you did not notice that information on the listing. The futon is available for extra sleeping but is located in the basement so may get musty at times. I will be putting in a dehumidifier that will hopefully help future guests. Great location! Very comfortable. Well appointed kitchen. Our family stayed here and had a great time with 5 adults and two toddlers. The central location was great...we were from out of town without a car, and our local Maryland family had their own car, but we walked everywhere or took water taxis. Beautiful home in a perfect location. Was the perfect location for our family vacation. Close to USNA and DTA. Would stay there again. No coração do bairro histórico de Annapolis.